Googler Kaspar Szymanski posted a picture of a Facebook bike, the first Facebook bike I've seen, parked at the Google office bike rack in Dublin. The picture and comments are on his Google+ page. 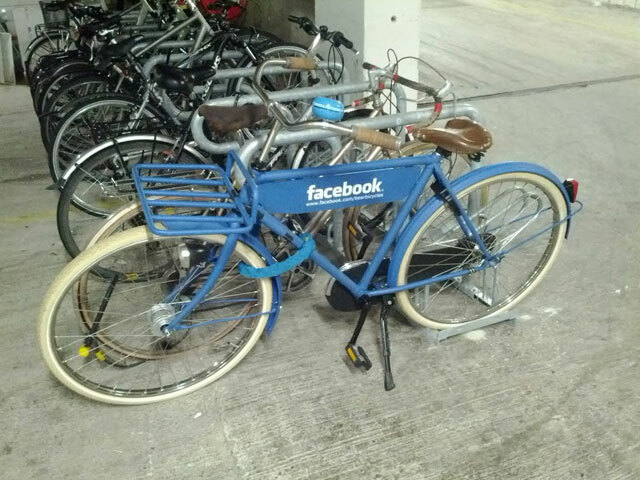 It is interesting enough to see Facebook has their own bikes, like Google does and Yahoo. But to see it parked at Google's Dublin office is even more interesting.